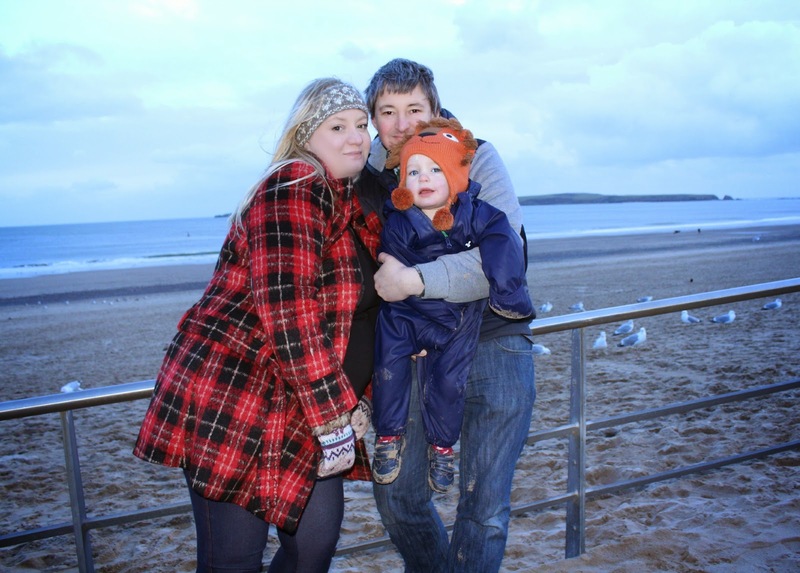 Our first Me & Mine photo for 2015 sees us all absolutely dithering with cold on a freeeeeezing Tenby beach!! This was taken last week on our little trip to review Bluestone - the day couldn't have been any colder (though the rain held off at least!) but my adventurous little man didn't care one bit - he sat on that sand digging and building sandcastles, giggling with glee as though it was the middle of July! Every now and then a dog walker would go past, and he'd casually look up and say "Hiya Doggy" before carrying on building his Sandcastle Town...but other than those people and a lone man feeding the birds, he had the whole beach to himself. There's something both eerie and strangely enticing about an empty beach...don't you think?! We had a lovely dinner at the little restaurant right there on the beach afterwards, and when we left it was almost dark - as scary and desolate as the beach looked, I almost felt a pull to it...I really wanted to just go for a little walk along the sand, on my own, just to see what it'd be like. I should also note what a total mis-matched mess I look in this photo - I thought I'd survive the day wearing just my outfit and a shawl - Oh no!!! By the time we'd walked around for 2 minutes I thought I was going to freeze to death! So I had a quick emergency shopping spree in Peacocks - where I bought a coat that wouldnt fasten over my bump, a pair of hideous mittens and a woolen headband to keep my ears warm - none of them matched in any way but for once in my life, I did NOT care!!! This photo captured the end of a really lovely day, on what will have been our very last holiday as a family of 3 - Hard to believe that there will only be a maximum of TWO Me & Mine photos left before we become a FOUR! Eeeek! It does look very cold. Brrrr! Great photos. 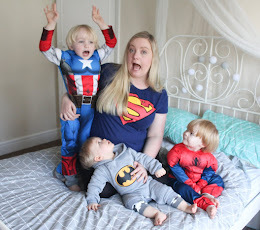 Aww, I'm always so excited to see pregnant ladies joining in with Me and Mine, it's going to be amazing to see your family grow over this year.